After Marvel made its landmark deal with Sony, there were those who thought that a deal with FOX may not be far behind. That hasn't turned out to be the case, and at least for the Fantastic Four, it doesn't seem to even be on the docket. Marvel Studios Chief Kevin Feige recently spoke to AlloCine (via Newsarama) about the Marvel Cinematic Universe, where the Fantastic Four happened to come up. The bad news is it doesn't seem to be on their radar, as Feige said "[We have] no plans with the Fantastic Four right now. No discussions about it." Fantastic Four has received three films since being owned by FOX, and while the first movie showed promise, the second film didn't deliver on the potential. It was then relaunched with an all new cast and director, but internal issues plagued the project. It released to abysmal reviews, and only brought in over $167 million worldwide. There is supposedly a sequel in development at FOX, but no details have been released. 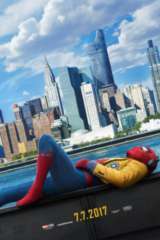 Up next for Marvel is Spider-Man: Homecoming, and you can find the official synopsis below. Guardians of the Galaxy Vol. 2 is in theaters now. Spider-Man: Homecoming lands on July 7, 2017, followed by Thor: Ragnarok on November 3, 2017. After that Black Panther debuts on February 16, 2018, while Avengers: Infinity War hits theaters on May 4, 2018. Ant-Man and the Wasp is slated for July 6, 2018, followed by Captain Marvel on March 8, 2019.